We hope that this year is off to a great start for all of you. With every new year, we are presented with the opportunity to grow and improve from lessons learned in the past year. We hope that you all take charge of the new year, and help your children achieve a successful 2013 too; possibly by providing them the additional help they need by getting them a tutor.This year we anticipate greater growth, than years past, and we look forward to being able to help more students in our community. We understand the value of education and the great help that one-on-one tutoring can provide, and so we continue to strive to help more and more students. We are extremely excited to offer the Share Your Passion Scholarships again this year. We will be offering numerous scholarships to students who can demonstrate how they will use their passion in order to help others. We will be offering a special scholarship to Roosevelt High School Students, a scholarship to Norco High School Students, and a scholarship open to all students of all Elementary, Middle, Junior High, and High Schools where we currently have students that we tutor. Additionally, due to the enormous success it had last year, we will also be offering our Facebook Contest Scholarship. The Facebook Contest Scholarship allows the Facebook community to vote for the winning essay. With these scholarships, our main goal is to get students to think about what moves them and what they are passionate about. We have found that the most successful individuals are people who love what they do for a living and who use their passions to give back to the community. Therefore, we want students to start thinking about careers that they are passionate about. We want them to think of ways that they can use their careers to help others. We want to create a community, in which paying it forward is the norm – we hope to promote that through our scholarships and the tutoring we offer. This year we want to promote the successes of the students we tutor. We believe that even something as small as passing a quiz or improving their score on a test or on an essay, can be extremely significant. We want to encourage our students to keep working hard and to stay motivated. Therefore, we will be featuring a student of the month every month. If you feel that your child has improved in school, due to tutoring, and you would like them to be featured as our student of the month, please send us an email letting us know how your child has improved. We hope you can help us show how proud we are of each one of our students. We would like to introduce our new tutors to all of you. We are continually looking for talented tutors that can add to our tutoring family and we have found three very talented young ladies. Rocio Ruelas – Rocio is currently a graduate student at Cornell University. She is working on her Masters on Applied Mathematics. She obtained her Bachelors in Physics from Harvey Mudd College. Rocio is a terrific Physics, Biology, History, and Math tutor. If your student needs help with any level of math or science, she will be a great fit. Tutoring profile coming soon. Heather Lanford – Heather received her Bachelors in Physics with a minor in Chemistry from the University of Illinois Champaign-Urbana. Heather can help your child with his or her Physics, Chemistry and Math class. She is terrific at Math – up to Calculus. To learn more about Heather, click on the link above. Adelynn Kieu – Adelynn is one course away from obtaining her Bachelors from UC Davis. She is receiving her Bachelors in Biology and Psychology. Adelynn is great at Math – her strong points are Algebra I, Geometry, and Algebra II. She can also help with Chemistry and Biology. To learn more about Adelynn, click on the link above. The Tutoring Solution’s student, Racheal Richardson was featured in an article in the Pasadena Sun this past weekend. Racheal had 7 kills and did a “real good job” for the Bulldogs according to her coach, Shari Iwatani. We are so proud of Racheal’s improvement in the classroom, but love to hear about and share in the success of our students. Thank you Monique (Racheal’s Mom) for sharing this story with us. If you would like to read more about Racheal and her successes on the volleyball court this past weekend, click on the following link. Throughout my time as the owner of The Tutoring Solution, I have received many similar text messages from happy parents. I asked Racheal if she was interested in becoming this month’s Student of the Month and she agreed. Racheal is an exceptional athlete. As a sophomore, she is on the varsity basketball, volleyball and track teams at Pasadena High School. She decided to get tutoring help because she was struggling understanding the concepts in her Geometry class. 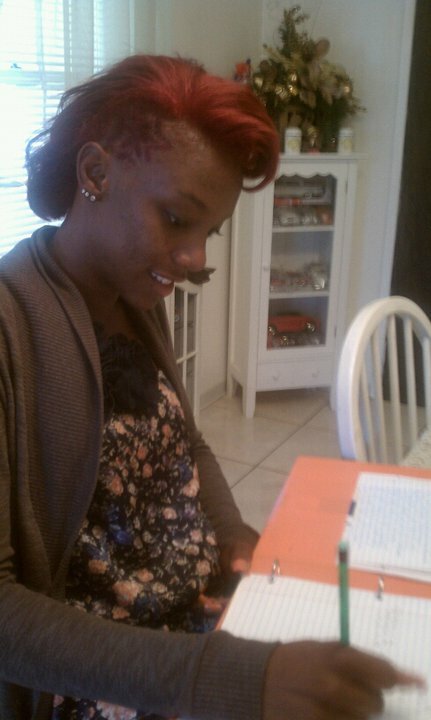 “I feel like (The Tutoring Solution) is really helping me and I’m doing much better in math and school. I enjoy tutoring with (The Tutoring Solution),” Racheal says. We are happy that Racheal has received her best grade ever for her math class and are confident that with more tutoring her performance in school will improve dramatically. Racheal has become more confident in school and math and is looking forward to her junior year. 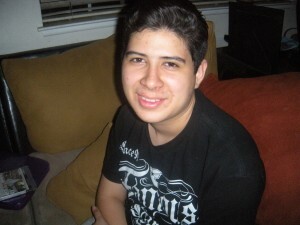 We began tutoring Jonathan Recinos in the middle of February. He was struggling in his Geometry class, especially on his tests and needed some help. Eddy Arbouet, a tutor with The Tutoring Solution began working with Jonathan to improve his test scores. Jonathan was receiving lower than 70 %’s on his tests. Eddy has worked hard to improve Jonathan’s abilities in Geometry and on his last two tests, Jonathan has received 100 %’s. Due to his hard work and effort, Jonathan Recinos has been made our Student of the Month for the month of February. We take pride in our student’s who go above and beyond our tutoring sessions to excel in the classroom. According to Jonathan’s mother, Patty, Jonathan had failed Geometry and all last year he worked to improve his grade by doing extra credit and staying after school, but nothing seemed to help. Patty says that Jonathan learned more in the first two hours of tutoring with Eddy than he had in his Geometry class for the entire year. We love to share success stories, like Jonathan’s. Through his hard work and diligence and the efforts of Eddy, Jonathan has improved immensely. Eddy and The Tutoring Solution are extremely proud of Jonathan and know that he will continue to work hard to improve. 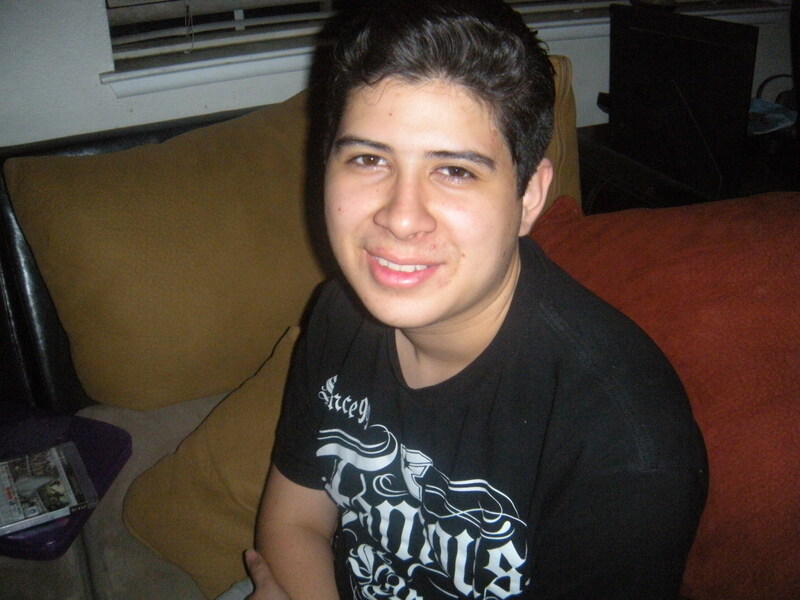 Congratulations Jonathan Recinos for being named The Tutoring Solution’s Student of the Month. I started tutoring Nick Cianflocco (from Norco High School) in February of 2010. His improvement has been immense and I wanted to congratulate him by making Nick our very first Student of the Month. His work habits and study skills have improved dramatically and I am very proud of the steps he has taken to do better in school. Excluding his P.E. classes Nick had failed all but two classes, one semester of Agriculture and one semester of Health in his first year and a half of High School. I began tutoring Nick in February in 2010 one month into the second semester of his sophomore year, and although his work habits improved during his first semester with me, he still failed 3 classes and received D’s in two other classes. I must say; however, that when I came on board, he was earning roughly 20% in every class and by the end we were able to bring up all of his grades to just around the 60% range, a 300% improvement. Since the summer of 2010, Nick has been extremely busy. He has taken 11 classes, 4 online classes and 7 classes at his school. He has not failed a single class, and has received B’s in more than half of those classes. 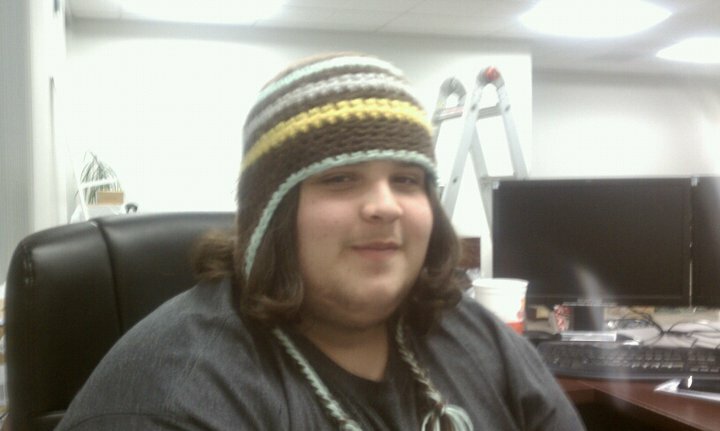 It has not been easy, but during a summer when most students are having fun and completely removed from school, Nick was diligently working to improve his grades and when most students as Juniors were taking 5 classes, Nick was taking 7. I can’t tell you how proud I am of Nick. The improvement that I have seen in him is immense. Now, the amount of time spent tutoring has lessened as he is able to do most of his work independently. He is receiving positive comments from teachers at Norco High School, who previously had complained that he did nothing. I still tutor Nick from time to time to help him study for a test, or work on one of his online classes, but he is the one that takes the initiative to set up these appointments. Nick is continuing to work hard and we’re hoping that this semester is his best yet. He seems a lot happier than he was one year ago. He is now planning for college and told me that he will not settle for anything less than a 3.0 this semester (now, a realistic goal). Not bad for someone who had failed nearly every class just one year ago. Nick, congratulations for being named our Student of the Month for January.